What is The Hope Experience? May the God of hope fill you with all joy and peace as you trust in him, so that you may overflow with hope by the power of the Holy Spirit! 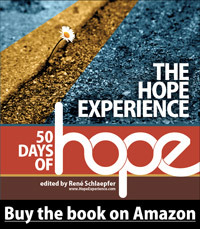 The Hope Experience book is also available in person at Twin Lakes Church.